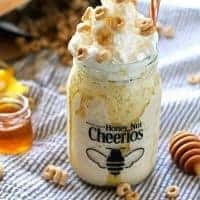 This Honey Nut Cheerios milkshake recipe tastes just like a bowl of cereal and milk! 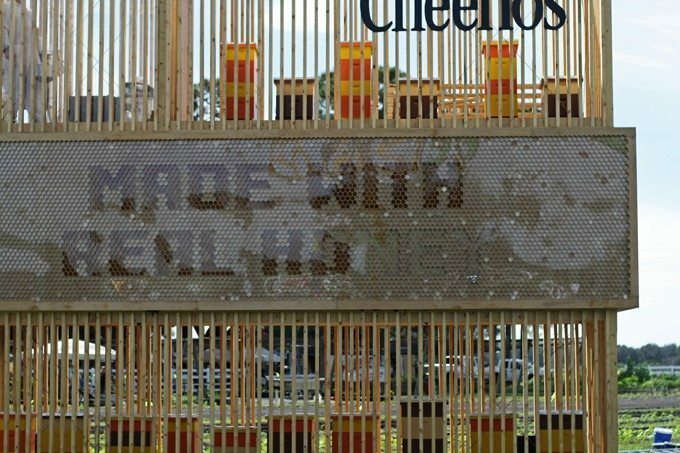 Also, my experience at the live Honey Nut Cheerios billboard in Florida. Last month I travelled to Orlando to witness a live honey event with Cheerios. 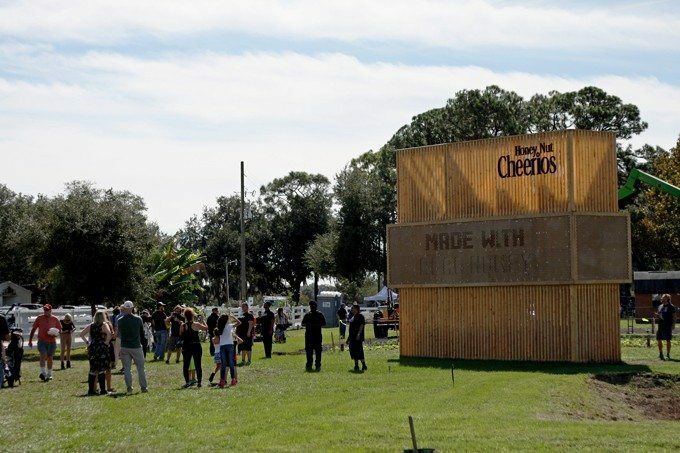 The team at Cheerios unveiled a one-of-a-kind living Honey Nut Cheerios billboard – it was a three-storey free-standing structure that was home to more than 100,000 honeybees. The actual honey from the working hives was used to spell out “Made with Real Honey”. Not only did I get to speak to the beekeeper in-depth, I got to be apart of the live taping of the live honey display. And so did anyone in the area that wanted to witness and be apart of it. 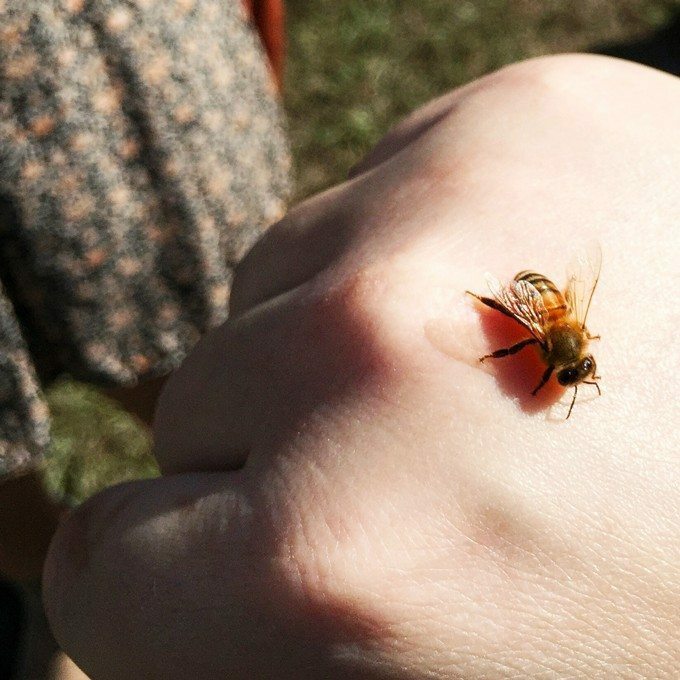 One of the incredibly cute bees took a moment to check me out, to see if I was holding on to the honey. Sorry, cutie patootie, all of your honey is in the display. 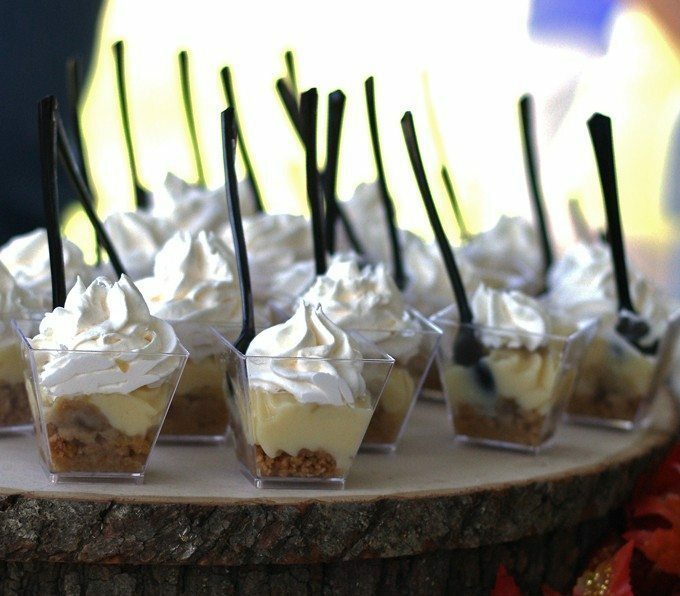 There were also some delicious honey and treats made out of Honey Nut Cheerios for anyone to try. If you are like me and a fan, you were going to be treated. Bees have to visit 2.6 million flowers to make a pound of honey. A bee hive can produce up to 200 pounds of honey per year. A honeybee could fly around the world on just two tablespoons of honey. Being “Honey and Birch,” you can imagine that I like honey quite a bit. I have also been a big fan of Honey Nut Cheerios for my whole life. 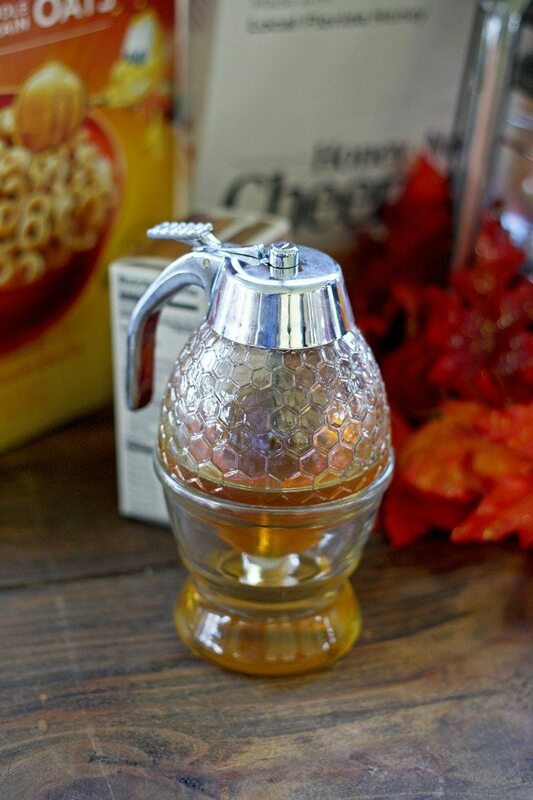 Every drop of honey used to make Honey Nut Cheerios is sourced from handpicked beekeepers who love honey and care about the future of their bees. That’s also very important to me too! I loved how passionate everyone was about the honey – it feels good to know I’m not the only one. 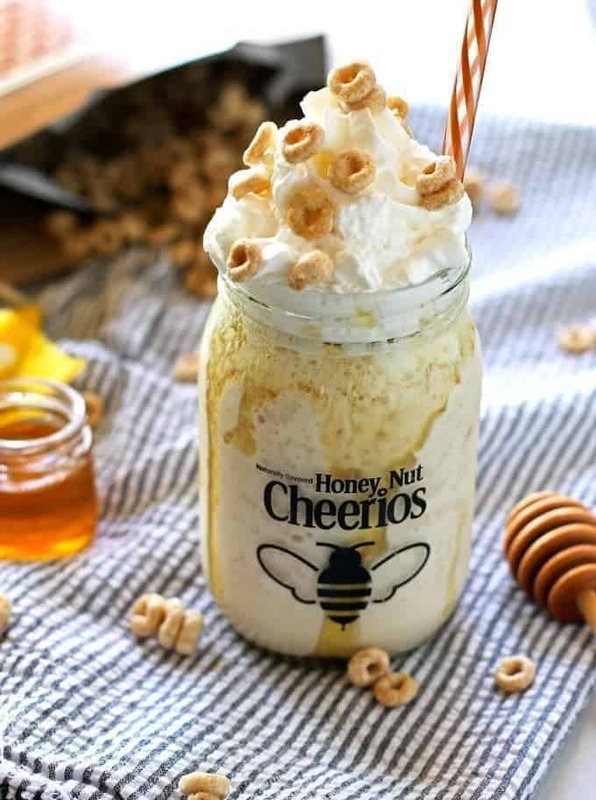 I set out to create a milkshake that tastes like a bowl of Honey Nut Cheerios with milk and I think I got it. I really don’t know where I get these ideas but I’m glad when I do! 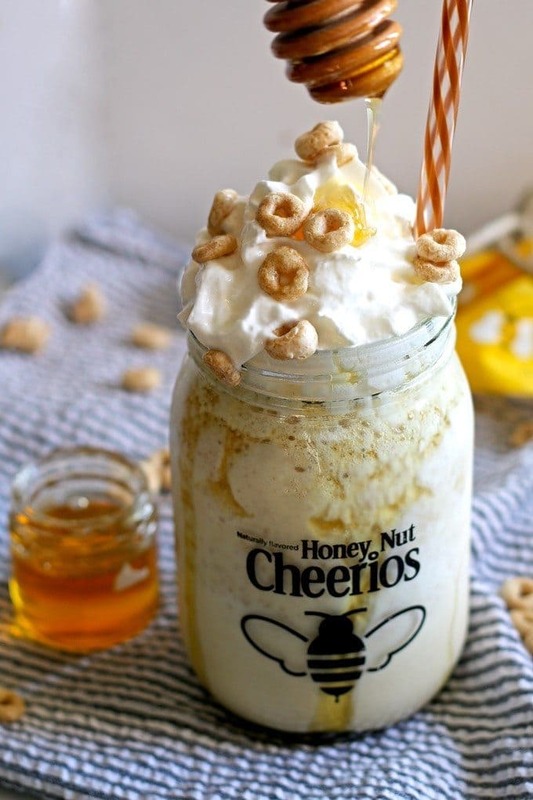 As with all of my milkshake ideas, this Honey Nut Cheerios milkshake is also very easy to make. Before I started mixing everything up in my blender, I took a little bit of the honey from the Florida hives and spooned it on to the rim of my glass. While I was blending my milkshake, it dribbled down the glass just in time for me to be finished. I poured my milkshake, topped it with some whipped cream and more cereal and then drizzled some more honey on top. It brought me right back to being at the Florida honey farm. 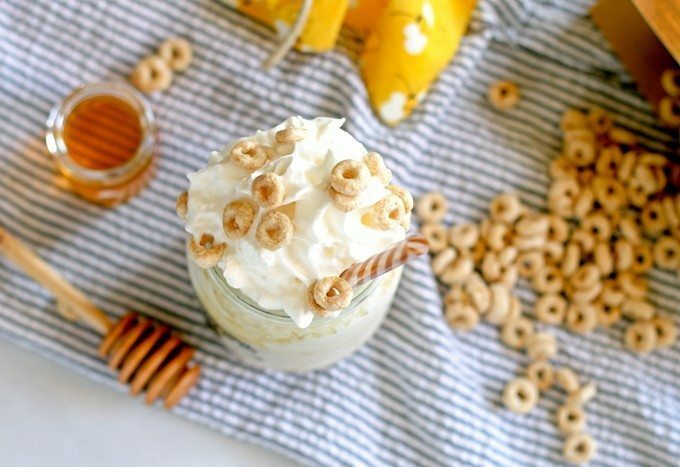 This Honey Nut Cheerios milkshake tastes just like a bowl of cereal and milk! Combine the milk and vanilla ice cream in a blender. Blend for 10-15 seconds or until smooth. 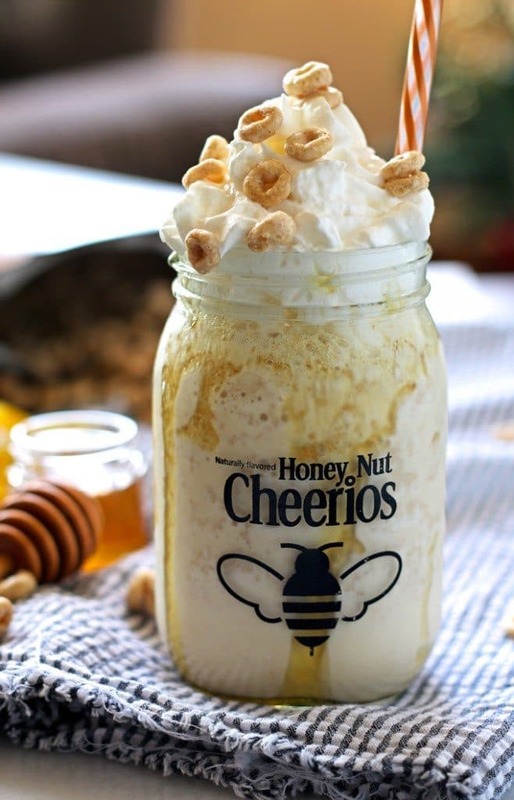 Add the Honey Nut Cheerios and honey and blend until combined. Pour into two glasses. 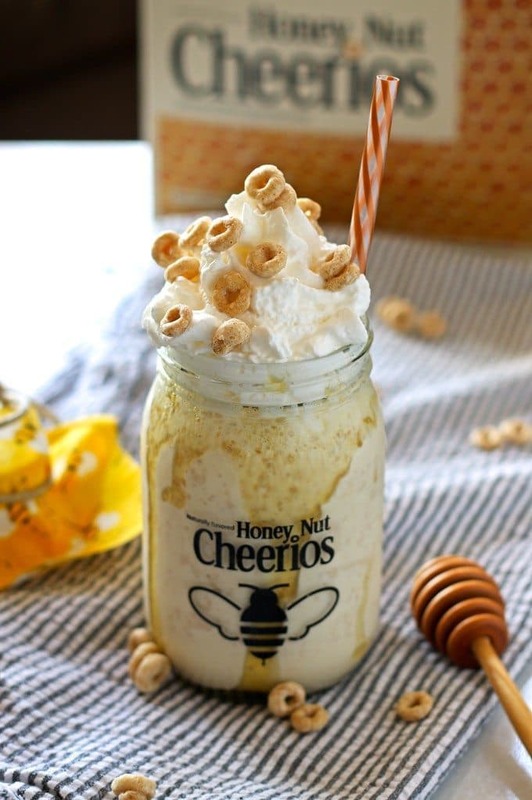 If desired, top each milkshake with whipped cream,honey and extra Honey Nut Cheerios. Thank you to Honey Nut Cheerios for paying for my trip to Florida and my expenses. All opinions are my own. Looking for more milkshake recipes? Try my java lava crumbler or my toasted marshmallow peanut butter milkshake!